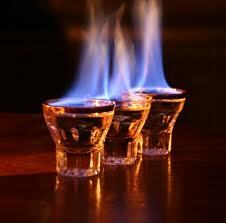 Flaming Dr. Pepper #2 drink recipe made with Beer,Rum,Vodka,. How to make a Flaming Dr. Pepper #2 with all the instructions and ingredients. Put the beer in a glass. Put the vodka in a shot glass and the the rum on top of the vodka. Flame the rum and drop it into the beer. Then slam the whole thing!